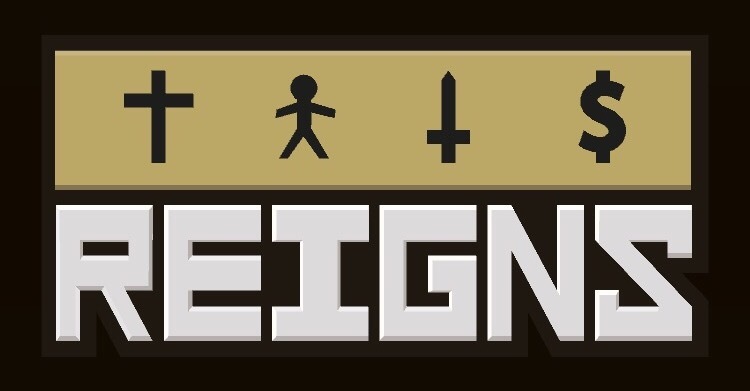 This guide will show you all the special status effects you can get in Devolver Digital & Nerial’s Tinder-like kingdom management game Reigns on iOS, Android and PC. I think these are all of them, but please let me know if you’ve seen any others. Crusader: “The slaughter of infidels is a lucrative way to decrease your population each year.” This causes your population to decrease and wealth to increase every second. Clarity: “From now on, you will know more precisely how your decisions affect the Kingdom. Is it a gift or a malediction?” This is in effect year after year. It shows you the exact numbers of your resources and (usually) how a decision will affect them. Silk Road: “The spice trade adds to the treasure every year. You have more chance of angering your neighbors though.” This causes your wealth to increase every second. Depending on the choice you made, it either increases by 10% or 20%. 20% is nearly impossible to keep in check! Blue Mushroom: “You feel suddenly very happy. Then strange things start to happen…” This causes people to look like rabbits. Mount Care: “The hospital will limit the consequence of epidemics and catastrophes.” When your population hits zero, if you have this in the lower right corner of your screen, you can use the hospital to replenish that resource a bit instead of automatically dying. Providence: “The barn was expensive but it’s good protection to avoid famine and the people’s unrest.” Like the hospital, this goes into action when your population is completely drained, allowing you to cheat death. When your population hits zero, if you have this in the lower right corner of your screen, you can use the hospital to replenish that resource a bit instead of automatically dying. Money Money: “The central bank protects you from bankruptcy. You just have to create more money when you need it. Genius!” Like the hospital, this goes into action when your treasury is completely drained, allowing you to cheat death. When your money hits zero, if you have this in the lower right corner of your screen, you can use it to replenish that resource a bit instead of automatically dying. Cathedral: “It prevents the Church from being to weak and the people too powerful.” Like the hospital, this goes into action when your Church is completely drained, allowing you to cheat death. When your Church hits zero, if you have this in the lower right corner of your screen, you can use it to replenish that resource a bit instead of automatically dying. High Walls: “The fortifications are an excellent way to repel invaders. Useful when your army is weak.״ Like the hospital, this goes into action when your army is completely drained, allowing you to cheat death. When your army hits zero, if you have this in the lower right corner of your screen, you can use it to replenish that resource a bit instead of automatically dying. Black Death: “The plague is decimating your population. It’s a bleak time to be a citizen of the Kingdom.” This causes your population to decrease every second. Slaver: “The slave trade gives you access to an infinite amount of cash. But what about your soul?” This causes your wealth to increase every second. Old Age: “You won’t be able to hear or understand properly. Scared, you try very hard to hide your ailment from the court.” While this is in effect, some words will be gibberish and hard to understand, especially if you’ve never seen certain cards before. Colonies: “The New World is adding to the treasury and the army every year but will you be able to manage such an empire?” The description says it all — both the army and money increase every second, and it can be hard to keep them from filling up. Lover: “You won’t be able to say ‘no’ to your paramour. The Church disapproves, but it mesmerizes your people.” If you fall in love, your population gets locked under control by your lover, so you won’t see any changes to it while it’s in effect. But the Church’s power will decrease every second! Diabolus: “Time is gone, space is insane. Here it comes, here again. You feel your mouth closing down as if you never had one.” This is in effect when the devil appears. Death Wish: “The next character you say ‘Yes’ to will die.” This is self-explanatory. It’s a curse from the devil that kills the first person you say yes to while under the curse. Enter the Pungeon: “There’s no way back and in your absence, the Kingdom ineluctably falls into anarchy.” This means you’re about the enter the dungeon. All four resources drain every second you’re down there. If all four run out, you automatically die. But there is usually a way to escape back to the castle in time. Excalibur: “The sword of kings is yours. In duels you will be more steady and you will be able to trigger special moves without defending first.” If you have Excalibur, you’ll have an easier time winning at duels. It’s still possible to lose, but it gives you an upper hand. See how to find Excalibur here. Theocracy: “You won’t be able to say ‘no’ to the Church anymore. That said, they’re taking care of the money.” If you anger the Church, they might take over the treasury for you. That means you can’t go bankrupt, but they can force you to make certain decisions that might harm other parts of your kingdom. 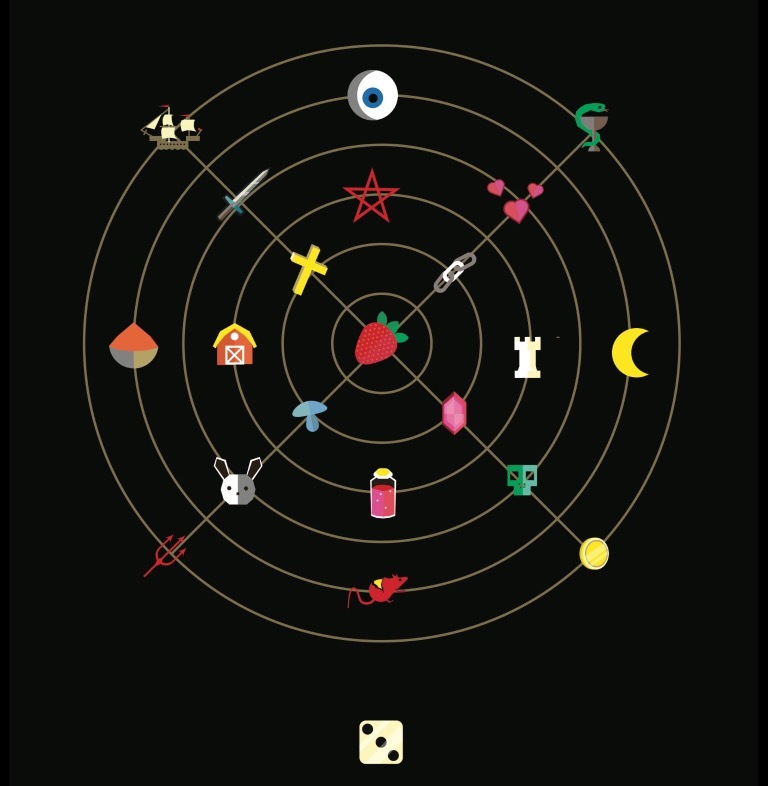 Loaded Dice: “You will never lose again at the Red Dwarf.” You can’t lose at the dice game while this is in effect. Spoiler Warning! This last one is only available if you meet certain conditions in the game and some might not want to know about it until the uncover it themselves. The One: “It’s probably the last strawberry plant on Earth. You keep it under heavy protection.” See more about this here. Theocracy is (imo) super useful for getting 100-200 year rulers. So many things require money. How to building the Cathedral? I think those icons are unused.